Hello all the friends who have joined with love. 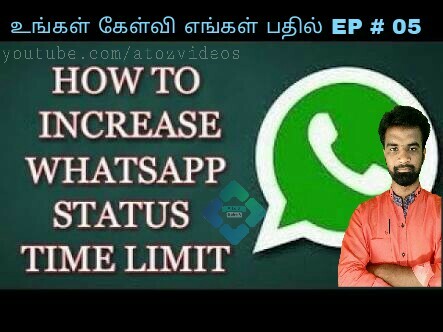 In this article we will see how to put the full video status of whatsapp.That is how the status limits increase. The whatsapp status can be increased on the root and non rooted mobile. Take a look at the above video to see how to do the root. The app for Rooted Mobile is listed below. It can be downloaded and used. And how to increase the status of whatsapp you can see the below video. The link of app for the non rooded Mobile is given below. It can be download and used. If you have any doubts, ask for a comment. We give the answer.